If you read the magazine regularly, you’ll remember a feature about the Bosch MSC (motorcycle stability control) system that KTM has been working on. It’s an advanced traction control and ABS system that allows you to hit the brakes as hard as you like, even with the bike leant right over. Try that with regular ABS and you’ll find its limitations scratched into the side of your leathers… Well, the system is ready for production and the current bike already has all the necessary hardware to run it. 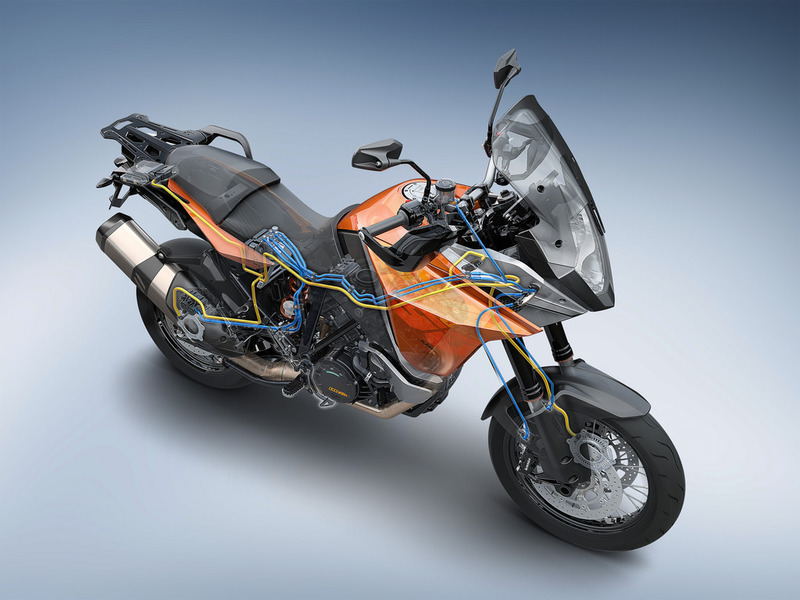 Obviously keen to get this clever system to market first, KTM is making a software upgrade available for all 2013 KTM 1190 Adventure and Adventure R owners at a cost of £335.63. Drop that in the palms of your local KTM dealer and, within the hour, you’ll have a completely reprogrammed electronics package with the most advanced ABS system available on a production motorcycle. And hopefully a few nice cups of complimentary coffee inside you as well. And in being first to the market with this system, KTM is also looking after its existing customers, by making the software available now, rather than making you buy a new bike to get it. What a lovely bunch the boys and girls in orange are.